Legislators: Support HB 142 and give hard working alaskans a raise! What does HB 142 do? 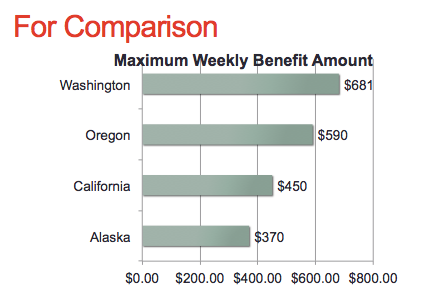 Raises the Maximum Weekly Benefit Amount for Unemployment Insurance: Currently, the amount is only $370 a week, which only provides 36% of the state's average weekly wage. HB 142 raises it to $510 a week. Brings Alaska more in line with the average weekly benefits across the country: In order to keep our skilled workers and attract hardworking individuals to work here, we need to be competitive with other states and that includes our unemployment insurance. This raise will mean that Alaska is in line with the national average for wage replacement ratios with 50% wage replacement. Why do we need HB 142?